Students in the University of Indianapolis Doctor of Occupational Therapy (OTD) program each complete a 14-week, self-directed Doctoral Capstone Experience and Project (DCE) that allows the student to develop in-depth skills in an area of practice they hope to pursue after graduation. The experience left 2018 OTD graduate Taylor Millar all wet. Literally. The first step in the DCE process is for OTD students to identify how their personal interests and goals can match with a facility that displays need somewhere in the country. “The doctoral capstone project allows our students to get out of the classroom and put their newly-formed therapeutic knowledge into practice for people and organizations who need the unique perspective of OT,” said Julie Bednarski, assistant director of the UIndy School of Occupational Therapy and OTD capstone coordinator. Students work with Bednarski, a faculty mentor, and a site mentor to design an immersive learning experience. 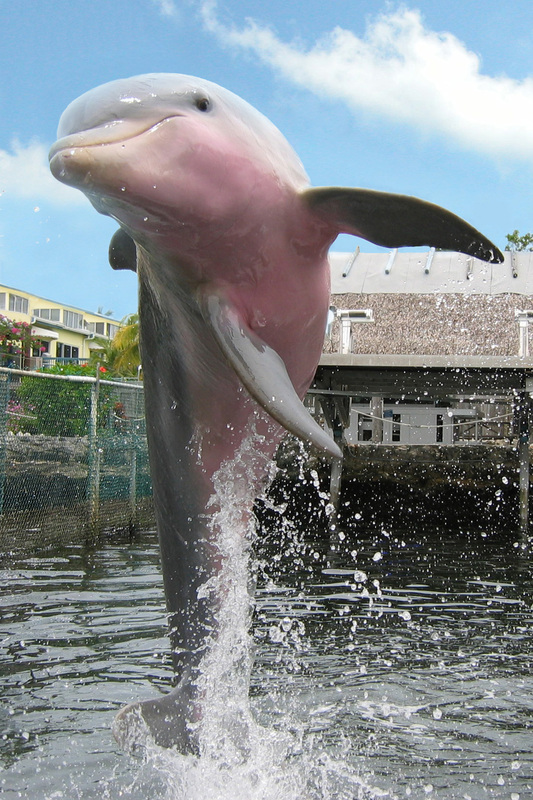 Millar knew that her unique perspective in OT could increase the scope of Island Dolphin Care (IDC), a small, non-profit, family-run facility. 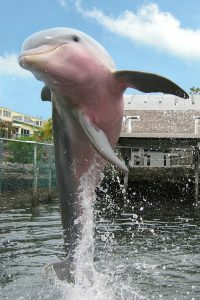 Started by parents who realized that interaction with dolphins motivated their three-year-old son to use his left side affected by a stroke, Deena and Peter Hoagland reasoned that the dolphins could therapeutically motivate all children with a variety of conditions and physical abilities. 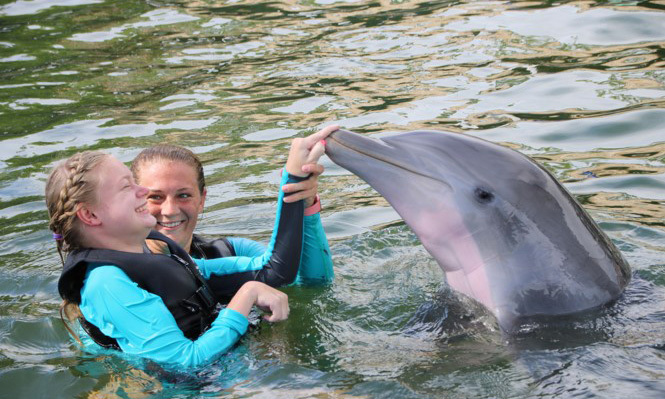 Today, IDC provides dolphin-assisted therapy for children, adults, and veterans with special needs. 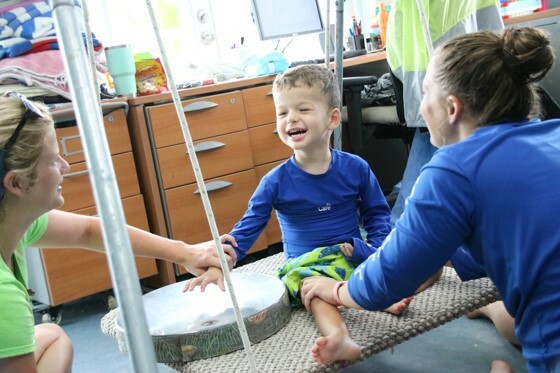 Trained therapists, like Millar, use traditional practice methods to address the goals identified by the family including gross motor skills, fine motor skills, communication, self-esteem and independence. These interventions are organized during a 5-day program that is attended by families from all over the world, including Germany, Hungary, and Switzerland, which added richness to Millar’s DCE experience. As much as the daily interaction with the dolphins seemed like a dream come true, the most rewarding piece of Taylor’s experience in Key Largo was the change she was able to facilitate within the clients and how that affected their whole family. Millar described a client with cerebral palsy who had difficulty communicating her needs and wants to her parents due to weak muscles in her mouth.